Mobile, technology, apps, social sharing, networking, emails, games, WhatsApp, now take up a major part of our digital lives. We have, over time, become so engrossed with technology, that we can hardly repel it now. The kids have done the same; they are even more glued to their smartphones. 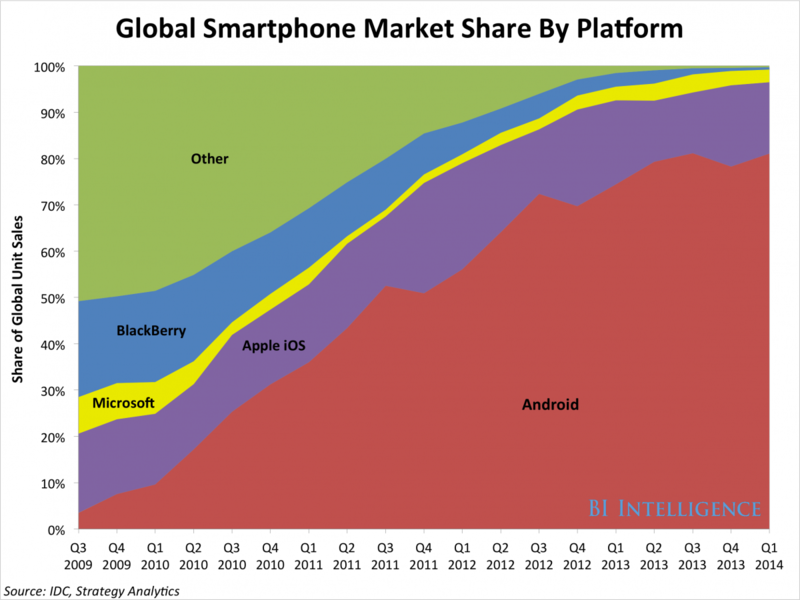 As things stand, Android OS enjoys a majority share of the smart phone market. According to BI intelligence, in terms of market share, Android has the lion’s share of the pie vs every other smartphone operating system. With so many people using Android phones every day, it is only natural to consider that many more people are now susceptible to losing them, than before. Keeping that in mind, we have put together a list of Android apps which can help you locate, lock and remotely wipe your Android handsets, should you ever lose it. Not so long ago, I was told a story by a friend. A mother of one, she and her husband took their teenage daughter on vacations to US Virgin Islands along with one of her friends. The mother was well aware that the teens would want to explore some areas all by themselves. 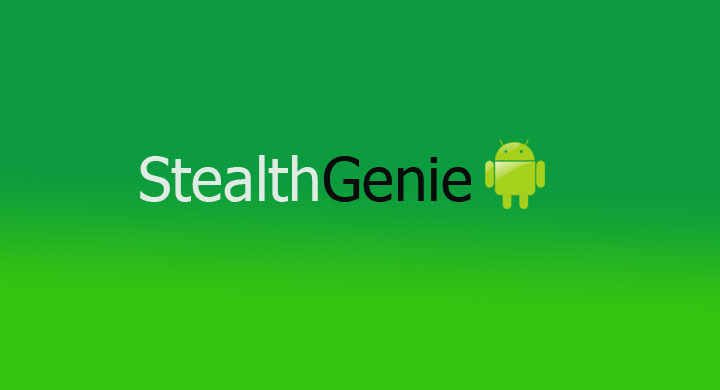 Her husband initially disagreed, but only gave up, once the kids agreed to install a tracking app (StealthGenie in this case) on their phones. They went and explored the areas all by themselves. The parents, on the other hand, had a peace of mind, because they could look at their exact location, till they reached back the hotel safely. This is but, just one way of using a mobile tracker app. 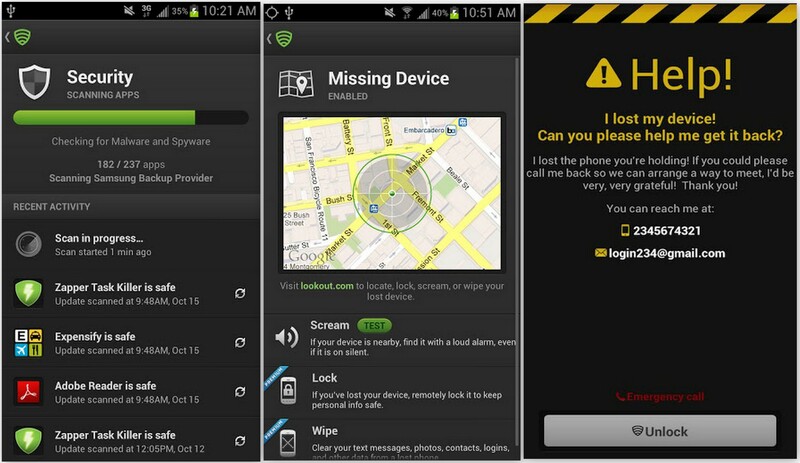 You might also need such an application, in case you happen to lose your phone, or if it gets stolen. The very fact that smart phones have become such an integral part of our lives, makes the cost of losing them all the more high, not just in dollar terms but for emotional and personal privacy reasons as well. The threat of falling a victim to identity theft, or having personal information leaked online is very real these days. According to Mobile Mindset study, 73% of people feel panicked when they lose their phone. In our attempt to help you, if such a situation arises. Here is a list of 5 best apps that can tell you the location of your phone, help you lock or remotely wipe it, should the need arises. 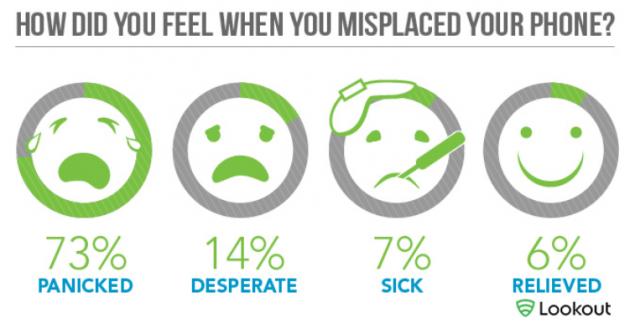 Wheres My Droid can help you to find your lost phone. The app will also help you turn the volume back on, even if it turned off. Which is specially of use, if the phone is turned silent and you are trying to find it. With Where’s My Droid installed in your mobile, you can send an attention text to your phone that will turn the volume high and make it ring, even if it is on low ringer. You can also set up an attention word to inquire the phone’s GPS location. StealthGenie is an exclusive monitoring app that can tell you the GPS location of your mobile in case it is lost. In order to track your phone, you need to log on to SG control panel from any device and you can see the exact location. Moreover if the mobile is switched off, you can even check its location history, the service records the places your device has been at. The app also allows you to send a remote command to your phone to lock it, and if the need arises to remotely wipe it as well. This particular functionality set is extremely important, if you the phone you lose has a lot of personal or confidential data on it. The app also allows users to set up geo-fencing parameter on the phone, using which you can mark some places as red-zones. The app will automatically alert you via email and sms, if the phone ever enters the red marked parameter. This can be of special use to parents. SeekDroid is only available for Android 2.2 (Froyo) and higher, so users still stuck with an older Android OS can’t use it. The app allows users to locate your stolen or lost device. After logging into the web interface, you can lookup your device on a map, remote wipe it, set off an audible alarm and more. This app will continue to work, if someone steals your phone and manages to change the SIM card. Prey Anti-theft is one of the more reliable apps in the market. 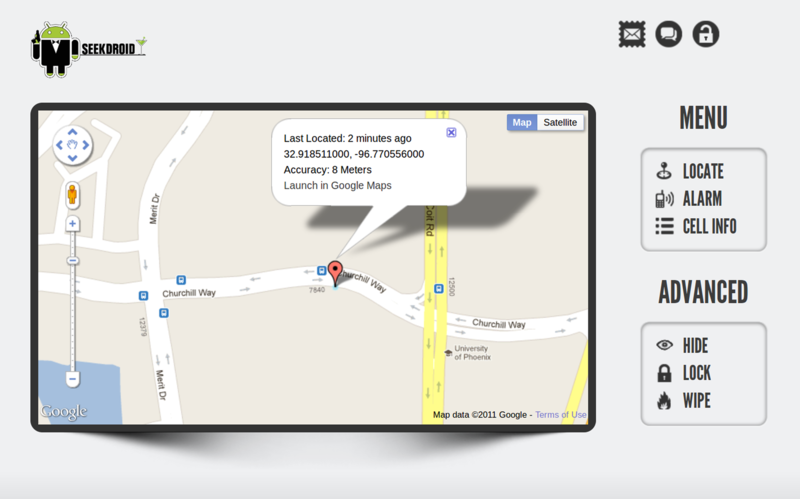 This app too allows you to send a text message to the phone, in order to track its GPS location. You can track the phone via a web interface and can even remote control the device. In the event of the thief swapping the SIM card, this app will still work. 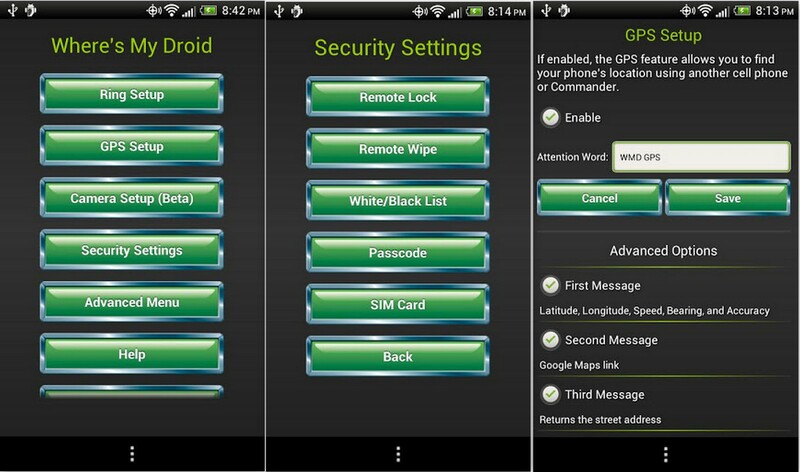 While Lookout Mobile Security is known for its antivirus capabilities, the app also offers some good location gathering features as well. This app also ensures its users safe web browsing, protection from malware and helps in order to find lost or stolen devices. With the use of Android Phones is rising, so is the need of keeping them safe. I hope by using any of these apps you can keep your Android Phone secure, specially when you have saved confidential data in it and you can’t find it.